Emotions VS Logic, which one will win in a battle? The Career Brand > Blog with Image Left > Branding > Emotions VS Logic, which one will win in a battle? One significant challenge faced by millions of people every day is the inability to communicate effectively in the workplace. In reality, communication is the foundation for success and failure in nearly every aspect of life. 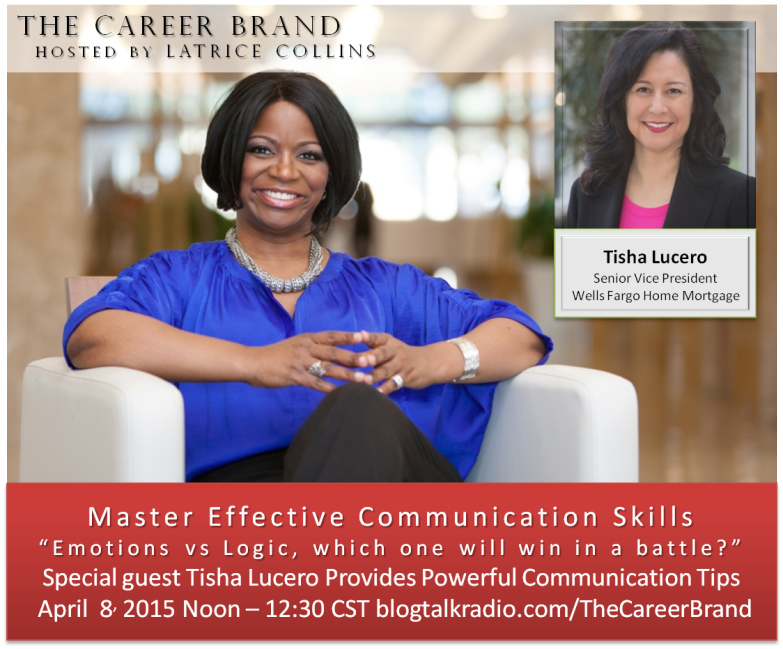 Over the next four weeks, Brand Expert Latrice Collins will conduct a four part series that will enlighten you and strengthen your communication skills. We are excited that Tisha Lucero, Senior Vice President for the Wells Fargo Consumer Lending Group will be our special guest this week. If you are struggling with emotional communications conflict with one or more individuals in your life, you don’t want to miss these programs. These sessions will encompass both leadership training AND conflict managing training techniques. Part 3: Emotions VS Logic, which one will win in a battle?